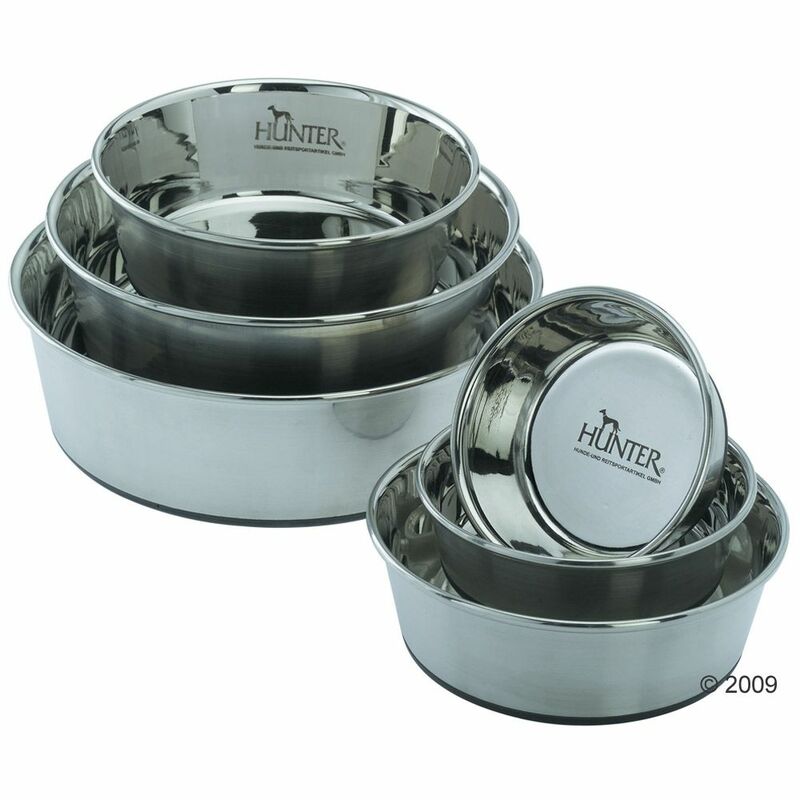 This top quality stainleΒ steel food bowl with Hunter logo is a little treasure for your kitchen. A wide rubber ring embedded in the underside of the bowl prevents slipping during the meal. The bowl is easy to keep clean and therefore very hygienic. The complete bowl including the rubber ring is dishwasher-proof. Dimensions: Volume Diameter Bowl height 350ml 11cm 5cm 550ml 13cm 5. 5cm 1.1 litre 17cm 6.5cm 1.9 litre 20cm 7.5cm 2.7 litre 24cm 7.5cm Hunter stands for quality and functionality. Hunter gives you high quality of individual products coupled with attractive designs, while simultaneously providing top functionality and great safety.